We are pleased to welcome you to the Legislative Assembly of the Northwest Territories and warmly invite you to visit our beautiful building located in the capital city of Yellowknife. The Legislative Assembly building is one of the most unique legislatures in Canada, highlighting NWT's consensus style of government and the traditional values of the people of NWT. Note: The Public Tour on Monday, March 25, 2019 will be canceled. The Legislative Assembly building will still be open and Audio Tours will be available. The Legislative Assembly apologizes for this inconvenience. From June 1 - August 31, free guided tours are available from Monday to Friday at 10:30 am, 1:30 & 3:30 pm and on Sundays at 1:30 pm. From September 1 - May 31, please join us for a guided tour weekdays at 10:30 am. Self-guided audio tours are available in the official languages of the NWT and in Japanese during regular Legislative Assembly building hours. Reservations are only required for groups of 10 or more people. Please note there are no guided tours on Statutory Holidays. For more information or to arrange a group tour, please contact the Public Affairs and Communications Advisor at (867) 767-9130 ext 12017 or toll-free at 1-800-661-0784 or email Danielle_Mager@gov.nt.ca. The Cliff Café (formally known as the Museum Café) operates Monday to Friday from 9:00 am to 5:00 pm. They can be reached at 867-767-9130 ext. 12043. 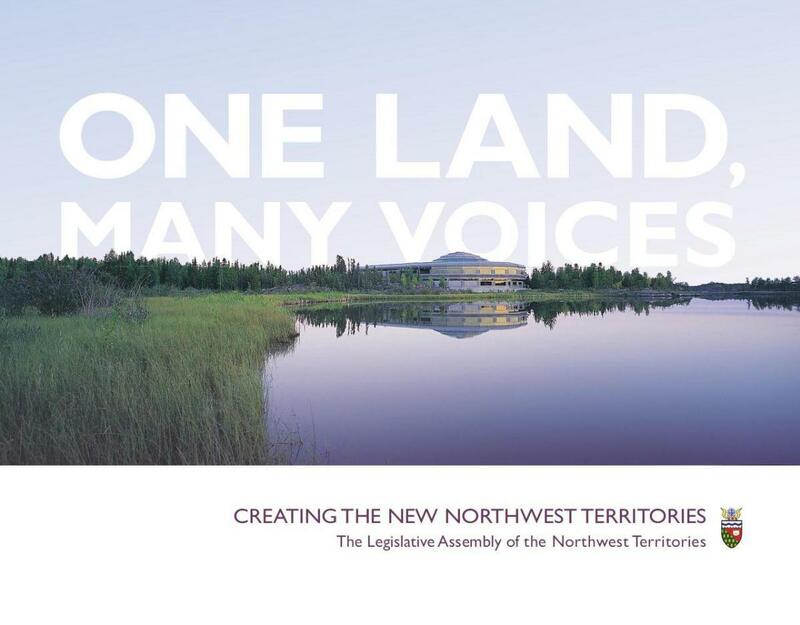 Read "One Land, Many Voices: Creating the New Northwest Territories", which charts the history of NWT's Legislative Assembly from the 14th - 16th Assemblies.